Conveniently located in the West Village and co-founded by hair care industry experts, by celebrated onetime Bumble and bumble creative directors Victoria Hunter and Larry Raspanti, Whittemore House Salon is many cuts above the rest. Named after the famed 19th century affluent manufacturer who once owned the building, Samuel Whittemore, the space occupies the ground floor of one of the city’s oldest and most storied buildings. The building’s beautiful aesthetic and history compliments the well-edited staff of respected beauty-world heavyweights, who were selected for their strong editorial and education backgrounds, as well as their commitment to progressive techniques and creativity. 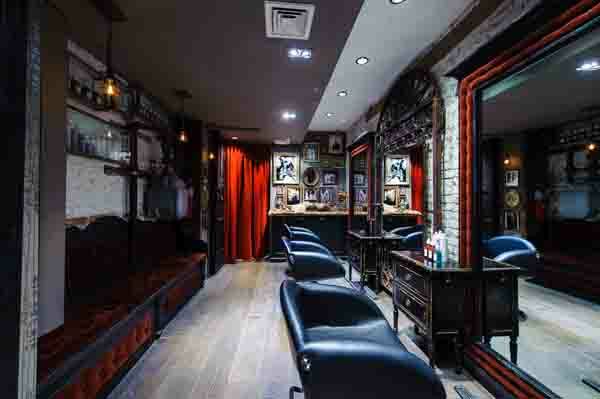 Backed by a team of hairstylists that work the manes of London’s catwalk models as well as everyday clientele, this art gallery inspired salon is as revered for its amazing space as it is for the cuts and colors that it serves up to its clients. With all the potential disasters that seem to go hand in hand with many hair salon horror stories…long waits, bad haircuts, surly hairdresser (we all know a few!) None of the aforementioned nightmares are encountered in the Whittemore House’s calm space. Also, the lovely scent that looms around the salon is from the Whittemore’s signature scent candles which will be launched this summer.